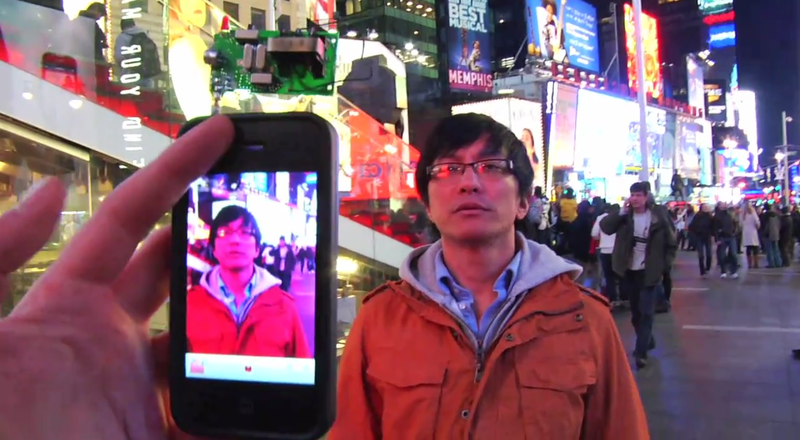 You may remember a video we posted earlier in the week which showed two men defacing billboards in Times Square, New York with what looked to be an iPhone transmitter and separate repeater. Every time the video repeater was waved in front of a video billboard, the picture would momentarily show the video output of the iPhone. We weren’t sure the video was real, our readers certainly weren’t buying it either. It has emerged that the video, uploaded by YouTube user BITcrash44, is part of a very clever marketing campaign for a new movie named “Limitless”, starring Bradley Cooper (The Hangover) and Robert Di Nero which will be released on March 18. At the start of the video, the “hacker” is asked how he is able to achieve the feat he is about to perform. He says he uses NZT, holding up a small white pill and then the viral video is played out much the same as the first video. It even shows part of the “Limitless” trailer on one of the bigger billboards. NZT just so happens to be a pill that enables Limitless’s main character to achieve things he never thought possible. Now that the YouTube video has been shown to be part of a viral marketing marketing campaign, additional details have become available. The campaign was designed and implemented by marketing agency Thinkmodo – the YouTube account for BITcrash44 actually belonging to Thinkmodo’s founder Michael Krivicka. There you have it. If you were one of the readers who called it, well done. We are still impressed that it was all done in real-time, completing it over hundreds of takes and not in post-production.